Designer Throws - View our range of Designer Throws here at Anthony Ryans linens shop, offering excellent quality Designer Throws to suit your needs. Add the finishing touches to your new bedlinen by accessorising with the finishing touch of a co-ordinating throw. 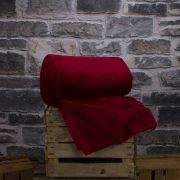 Completely set off the look with a plush range of throws, bedspreads and blankets available from www.Shoplinens.ie.